Hi All, about a month ago I was holidaying in Byron, made the mistake of looking through the racks of the local surf shops, in one I found a tasty selection of NPJ boards, twins, quads and Duo’s, after a bit of a haggle I walked out with a 6’4 x 21 ¼ by 2 9/16 Duo with twin stringers and acrylic wash (most expensive board I have ever purchased, fingers crossed for no byers remorse). I have a Duel Single already a 6’10 Nico Bosel stringerless egg with a tri plane hull that I picked second hand, so I kind of knew what I was in for. The Bosel is FAST, but with pinched rails and a hull bottom likes to be surfed in a particular way, flowing, bouncing off things and in the barrel, does not like to be laid over for a cut back. It also likes solid surf, head high plus. But I can’t fault the fin layout, loads of hold, smooth with almost zero resistance and a barrel ride that is extraordinary, literally stand and deliver. Back to the Duo, err wow, forgiving, FAST, loose, lots of hold, carries speed through the turns so much so that I run out of ideas of what to do on a wave, needs a better pilot. I have surfed it from 2ft to 5ft, but being so wide it does start to feel a little too loose at 5ft on my backhand, but as it feels fine on my forehand at this size it could be a rider technique problem. I surfed it yesterday in what can be best described as 2-4ft slop, and it went really well on every wave. I am especially finding the gliding ability amazing, around or over impossible foam sections, and even when you kick out of a wave it just keeps gliding (I also have some wider (22”) small wave boards with quad set ups, this thing out glides them). This ability seems to give line choice on take-off that no other board gives, start at almost any angle you choose, take off deeper whatever you want as you will get around the section. Anyway, I think this could possibly be the best fin system I have ridden; both boards require a kind of narrow stance but are FUN, able to hold an unbelievable high fast line or low line, but the NPJ can literally be turned wherever you want, only limited to this riders imagination. I think this could be the new future fin set up and would not be surprised to see it make its way into the norm over the next few years. Great review mate. Now I wanna try one! Actually Full Quiver pic..Shortys to DS. NpJ has a 'Used and Abused insta...if you wanna save a few bucks. I have a little 5'8 Duo and it's my all time favourite board. Fast, loose, loves to snake all over the open face but also turns super tight in the pocket. Projection out of turns is mind blowing and you can lay into turns with no fear of sliding out, magic board for me. As for it being the future? I'm not so sure. Coming off of quads and thrusters it did take a little getting used to and I'm not so sure everyone would want to put in the time. I think single fin guys would love them. Does the Duo work in full or average quality waves? For example can you generate speed on them or are they just better suited to quality waves that enable to surf and enjoy the ride rather than making it happen. I've been told that they require waves with a bit of punch to get them moving and have fun on is that true? Hey Markxxx, I am finding swapping between boards and the duo OK, a couple of weeks ago I went from DOH waves on a HS Shred Sled quad on a Saturday, to 1.5 OH waves on the duo on Sunday, didn’t miss a beat, the only thing I noticed was the control of the HS and the speed of the Duo, both in a good way, by the way the HS is fast, but feels like it has drag compared to the duo. Then on the Sunday just gone, 2 foot peelers, my brother in law was down from Sydney, so I had two of my boards out, duo and a Lost Puddle Jumper, we swapped a couple of times. Amazing the difference in paddling, the duo is obviously a few litres less but out paddled the PJ, caught ripples in comparison. On the wave the duo was fast with long round turns and speed across flats and on the face, the PJ felt like a little puppy, all over the wave instant speed, loose slides on tight turns, but as soon as the all 4 fins were engaged it felt like it stopped compared to the Duo, both were fun but the duo never feels like it wants to stop gliding. My brother in law loved the duo from the first wave. I actually think the duo has helped me on all my boards, because it does not really slide, but carries speed, everything is driven from the shoulders and arms it rewards a technique that gets the board to flow, not sure if that would suit everyones style. I do think the fins are never fighting each, would be interesting to have a go on a Webster DS with a duo set up. Hey morg mine seems to work really well in mush and junk, but it is 21 1/4 wide, what I think it does is allow you to surf a much wider board further up the size range, it also has a rounded pin, shaped like a quartet. Udo, a quiver shot may be too much evidence for my other half, beside that getting the duo has put a couple on the chopping block, maybe??? get the router out and fit some boxes drodders. 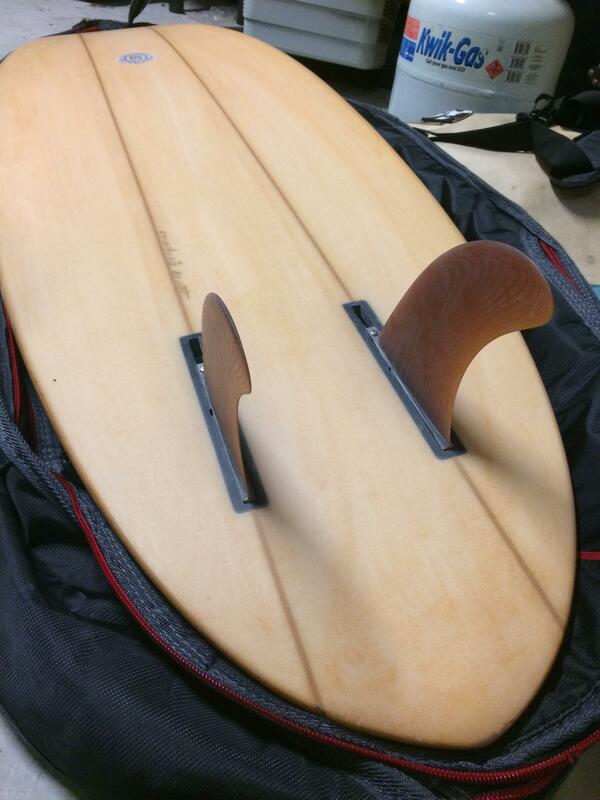 Great review drods so maybe one pic of the said board?What size fins are in those puppies and boxes or glass ons? Hey Drodders, I too swap from all my boards to the Duo with ease now but it did take a few sessions to get used to the Duo. For me it was no issue putting in a little time as I saw moments of absolute magic but I know of a few that've gone to the chopping block quite early in the piece. Nice board drodders. Love the beer coloured fins too. morg ..what size are you loooking for ? 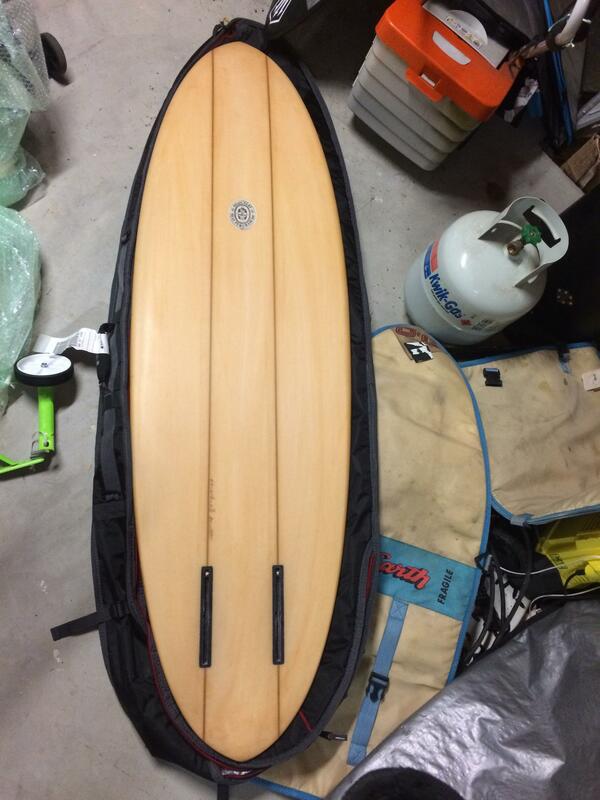 Byron Bay seller on Gumtree has a range of new NPj boards for sale -$995 - $1145. Hey Udo, this is for you, The PJ went well with the Duo set up, and interestingly it made it ride really well right up to 5ft, off the bottom, off the top and repeat, same as a PJ on small waves, and also substantially improved its barrel and late drop performance. However I have already got boards that do that well or better. Ultimately the PJ was sold off; in the end the 22 inch wide board was too much, my widest board is now 21 and all the better for it. 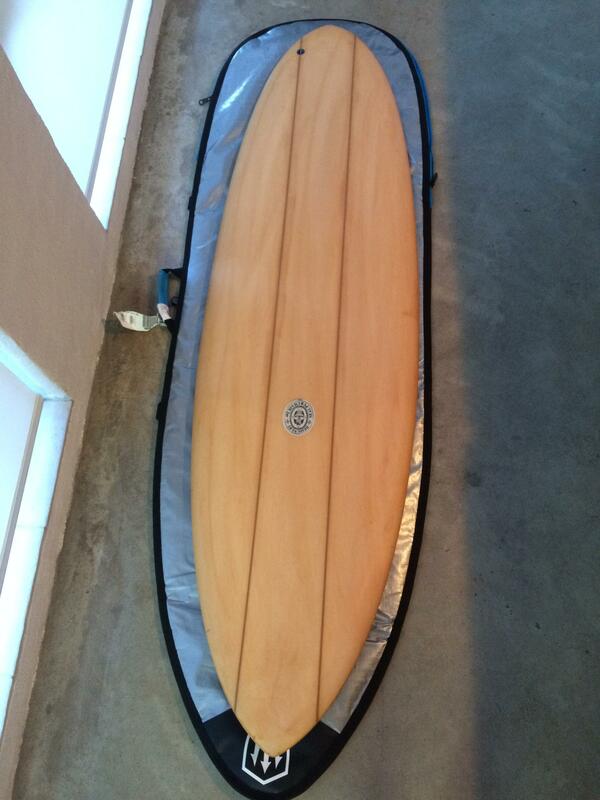 It is also a board that liked a specific wave, the Goldie Locks board, not to hollow, not too fat. I think it showed that the Duo concept translates into another board, made it feel more controlled and still turned really well without side slip through turns.